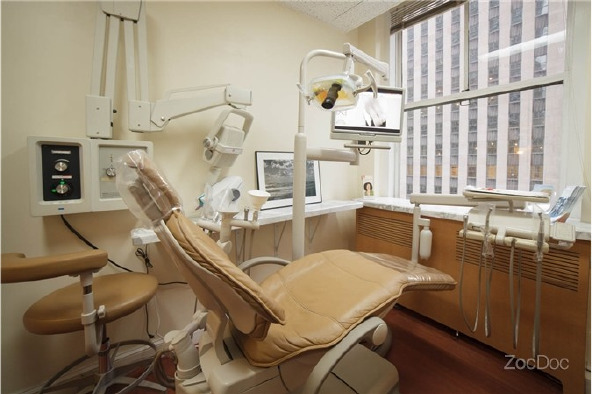 Rockefeller Cosmetic Dentistry is the premier dental clinic in Midtown Manhattan, performing a full range of cosmetic, restorative, and general dental procedures that are covered by a variety of dental insurance plan providers to ensure that each patient we see is able to receive the best treatment within their budget. Whether you’ve lost a tooth or want to increase the aesthetics of your smile, we offer a full range of dental procedures to get our valued patients the treatment they need! Our team of board-certified dentists consists of Dr. Anna Radziwon, Dr. Liana Gedz, Dr. Steven Goldberg, and Dr. In Young Lee whose combined 30+ years of experience make them the leading cosmetic and general dentists in New York City. 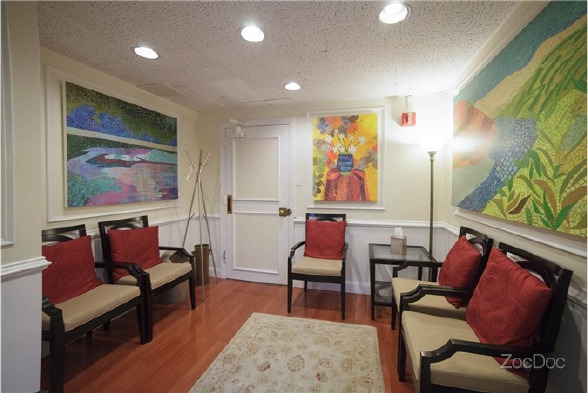 Their calm, soothing chairside manner and devotion to getting their patients the best treatments make your visit to the dentist feel like a walk in Central Park (just blocks away). Dr. Anna Radziwon, D.D.S. is a board certified general dentist specializing in removable and fixed prosthetics, dental implant restorations, endodontics, composite restorations, and teeth whitening. She is adept at servicing all types of patients and is well respected and liked by her patients for her caring, tentative, and diligent demeanor. She began her studies at Fordham University where she obtained her bachelor’s degree in Chemistry and went on to study dentistry at New York University where she graduated with honors and obtained her doctorate in dental surgery. her many loyal clients and patients. She prides herself on a compassionate, informed, and caring approach to dentistry and her dedication to staying abreast of modern dental treatments, techniques, and technologies. Only through this does she feel she can maintain her promise to bring her patients the best dental care with the most effective results. Dr. In-Young Lee, D.M.D. began her dental career in high school in New Jersey serving as a dental assistant at her local orthodontist office. Originally from Korea, Dr. Lee is fluent in both English and Korean and uses her skills to relate to patients of all nationalities and backgrounds. Dr. Lee’s education continued in an accelerated 7-year program at Rutgers Dental School’s Joint Degree Program for BA/DMD in general dentistry, a program only offered to highly qualified candidates. After completing her DMD on the Dean’s List, Dr. Lee went on to complete her post-doctorate General Practice Residency at Montefiore Medical Center, where she primarily focused her skills in comprehensive and general dentistry. Dr. Silvia Ghattas graduated from the Faculty of Oral and Dental Medicine and Surgery at Misr International University in Cairo, Egypt. After having spent several years as an owner of multiple practices in Egypt, her commitment to excellence in the field of dentistry and a desire to practice in the United States brought Dr. Ghattas to New York. Upon completing her post-doctoral training at Columbia University, followed by a one-year residency at New York Presbyterian Hospital (CUMC), Dr. Ghattas has obtained extensive restorative and surgical training, including full mouth rehabilitation and implant therapy. The staff at Rockefeller Cosmetic Dentistry strives to uphold the name Rockefeller in every procedure we perform. Join us in our state-of-the-art dental facility, complete with the latest in dental technologies like low-radiation digital dental X-rays (with NomadPro), electronic caries detection, and LANAP pain-free laser gum therapy. From cosmetic procedures like Invisalign, lumineers, veneers, crowns, and cosmetic gum surgery to general dentist practices like oral surgery, fixed and removable prosthodontics (dentures), dental implants, and laser gum surgery, we offer solutions to fit your needs — including holistic dental treatments such as our innovative new minimally invasive, metal-free dental implants and pain-free dentistry through sedation using nitrous oxide! Our motto is patients first — it’s not about the procedure, it’s about the people. To that end, we try to always exceed our patients’ expectations in restoring their natural, beautiful smile. We also accept most major dental insurance plans such as Delta Dental PPO & Premiere, MetLife PDP Plus, Guardian, Aetna PPO, Guardian PPO, Cigna PPO, United Healthcare, Anthem Blue Cross/Blue Shield, and Sunlife Financial. Whether they’ve lost a tooth or a whole row of teeth, are in need of veneers or cosmetic gum procedures, we go above and beyond to ensure each patient leaves our clinic feeling confident and smiling. To schedule a one-on-one consultation with your Midtown Manhattan Cosmetic Dentist and learn more about your dental implants and smile makeover options, please visit our website at cosmeticdentistsnewyorkcity.com or call us at (212) 581-1091. If you are in need of an Emergency Dentist in Midtown Manhattan, please call ASAP. Walk-ins welcome.